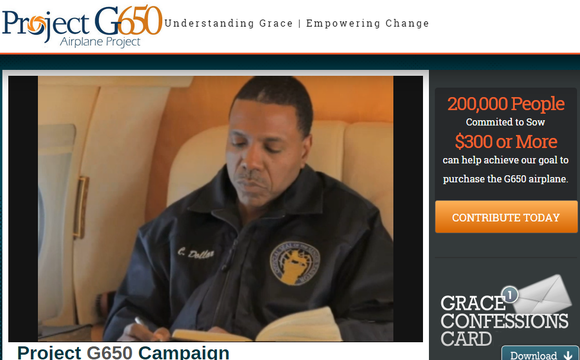 Popular American pastor, Creflo Dollar caused a stir when he requested his congregation to donate $300 so he can acquire a brand new Gulfstream G650. 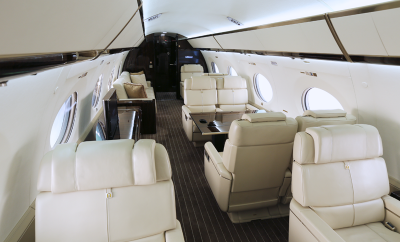 The Gulfstream G650 which is the fastest private jet in the world accommodates only 8 passengers and 4 crew members.It is also one of the most coveted planes in the world with only the very rich ever dreaming of owning.They have to be on the waiting list to even own it. The plane they use now, purchased by the ministry in 1999 and has since logged four million miles. Recently on an overseas trip to a global conference, one of the engines failed. By the grace of God, the expert pilot, who’s flown with Creflo for almost 20 years, landed the plane safely without injury or harm to any passengers. Due to this recent incident coupled with the 31 years the airplane has been in service, we believe it is time to replace this aircraft so that our Pastors and staff can continue to safely and swiftly share the Good News of the Gospel worldwide. Believe it or not, there are still millions of people on this planet who have never heard of Jesus Christ and know nothing of His greatness. Our hearts desire to see precious lives changed and snatched out of darkness and thrust into His marvelous light! We need your help to continue reaching a lost and dying world for the Lord Jesus Christ,” the appeal continued before asking supporters of the ministry to sow a $300 seed into the airplane fund, billed Project G650.